Restart Wiki – a site of shared experience and skills in mending appliances and gadgets. 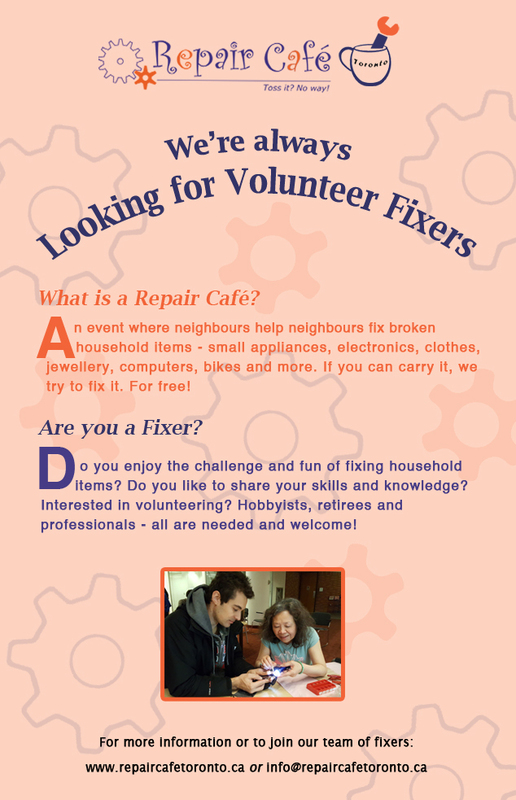 How to Start a Repair Café – includes Outreach Tips, a Basic Supplies List, Steps to Starting a Repair Café (2014 Workshop Powerpoint), Detailed Steps & Questions to Consider when starting a Repair Café and a Volunteer Descriptions Pamphlet. 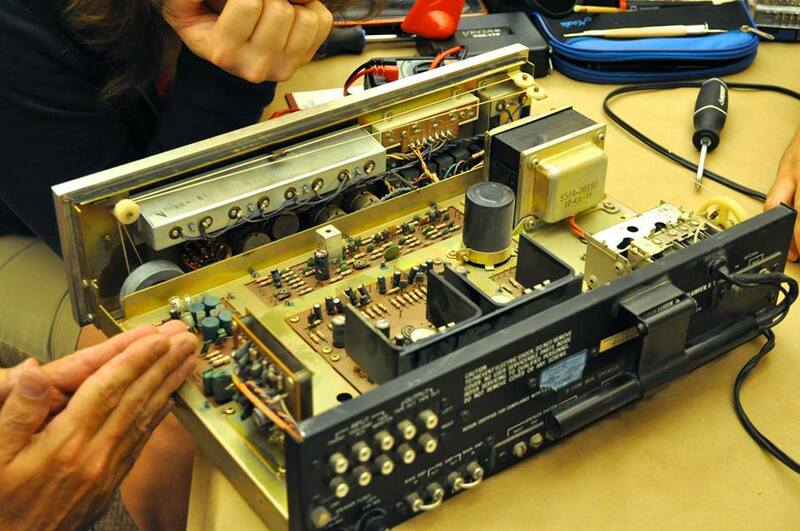 Toronto Public Library – Electronics Repair Manuals – 275,000+ from 1925 to today for TVs, VCRs, Radios, etc. Use Waste Wizard to find out what waste items go where in Toronto, and other City offerings to reduce waste.